In pan, mix 1/2 cup of the rice, 1/2 of the seasoning packet from rice mix, orange juice, pecans and cranberries. Place chicken on rice mixture; sprinkle with paprika. Cover with foil. Bake 30 to 35 minutes. Remove foil, stir and bake an additional 5 minutes or until liquid is absorbed and juice of chicken is clear when center of thickest part is cut (165°F). 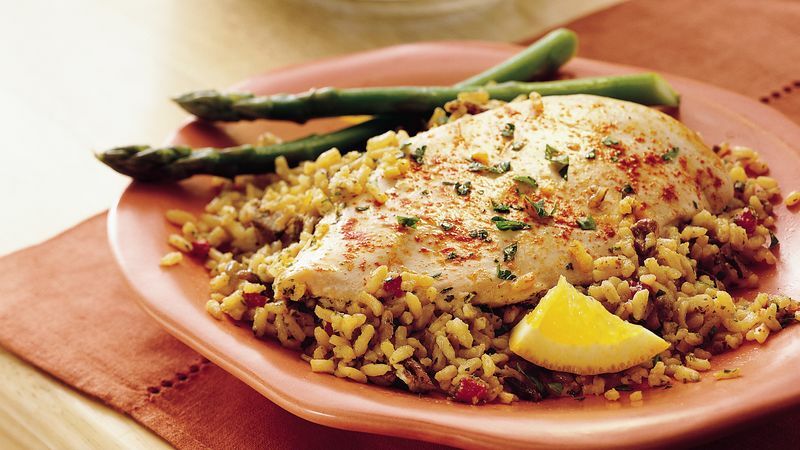 Be sure to use the fast-cooking rice mix for this recipe. The regular type will take too long to cook.